I usually plan what I am making for dinner: get a recipe, make a little list and go shopping. But today, dinner kind of evolved. I sorta knew what I wanted but when I went to Deciccos (a specialty grocer) near Michaels craft store, where I was returning some items, I went around the store with a basket and ended up leaving the empty basket and the store, disappointed. Nothing appealed to me. So I ended up going to Shoprite (had to get something….) and went to the meat section thinking I would get lamb chops. 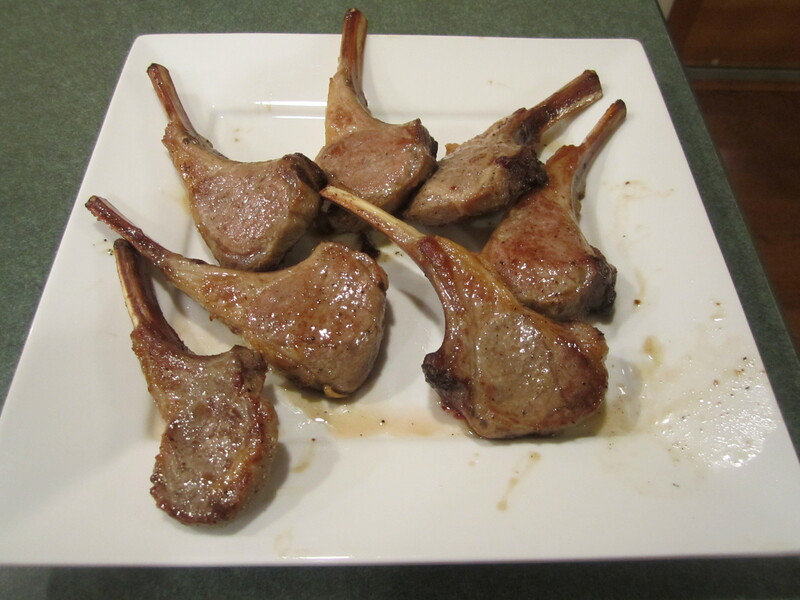 I usually get the lamb loin chops but they were not looking so great to me. 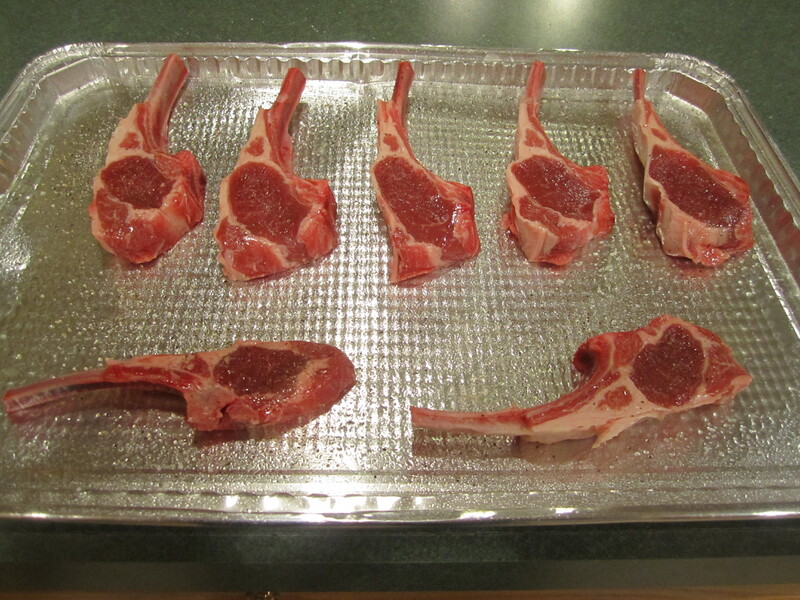 But they did have a perfect package of lamb rib chops, just enough for my husband and I. So back to the produce section for a side. Asparagus was too expensive and from Chili or someplace. 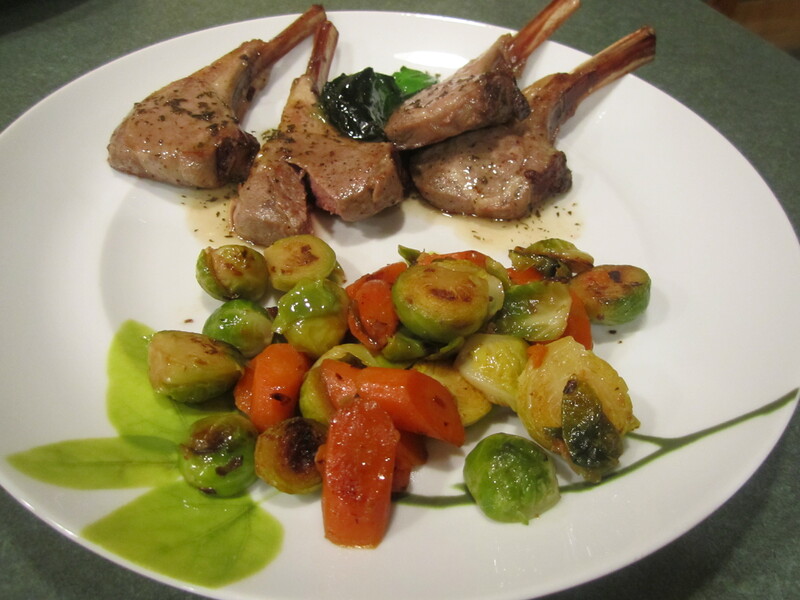 Then I thought of Brussels Sprouts: a nice winter vegetable, that would go well with the lamb chops and grown in the United States, thank you very much. 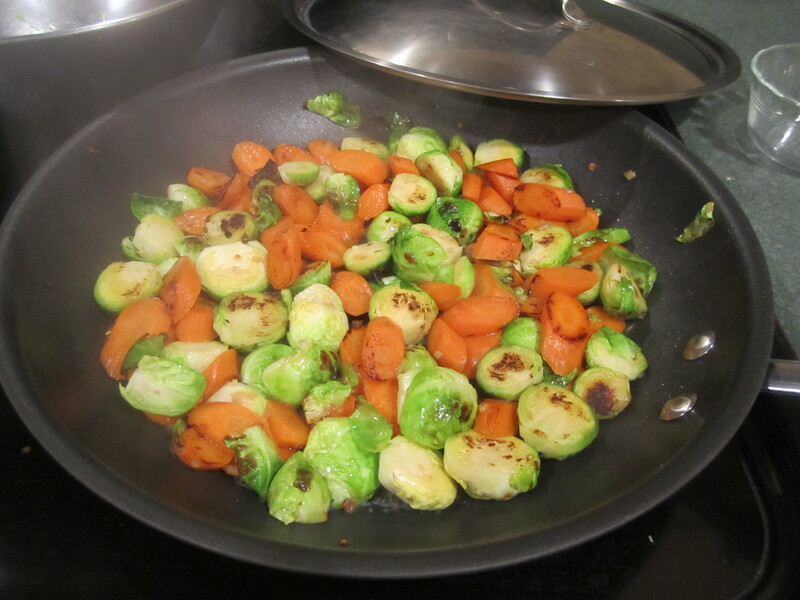 Now I needed a recipe for the brussels sprouts. I had a great one that I usually made for dinner parties, maybe I could halve it. 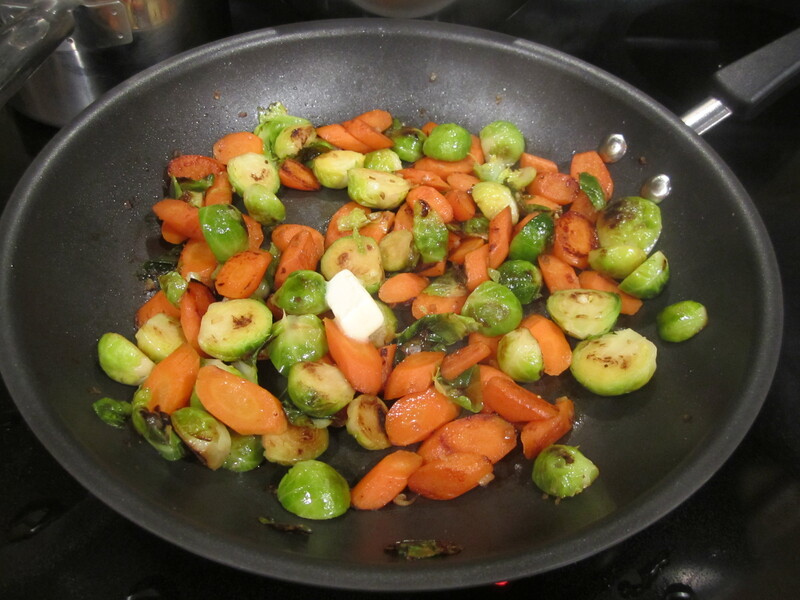 It seemed possible so I started cutting the brussels sprouts and then remembered I could complete the recipe because I already had fresh, peeled carrots in the refrigerator. Perfect! Dinner was complete. 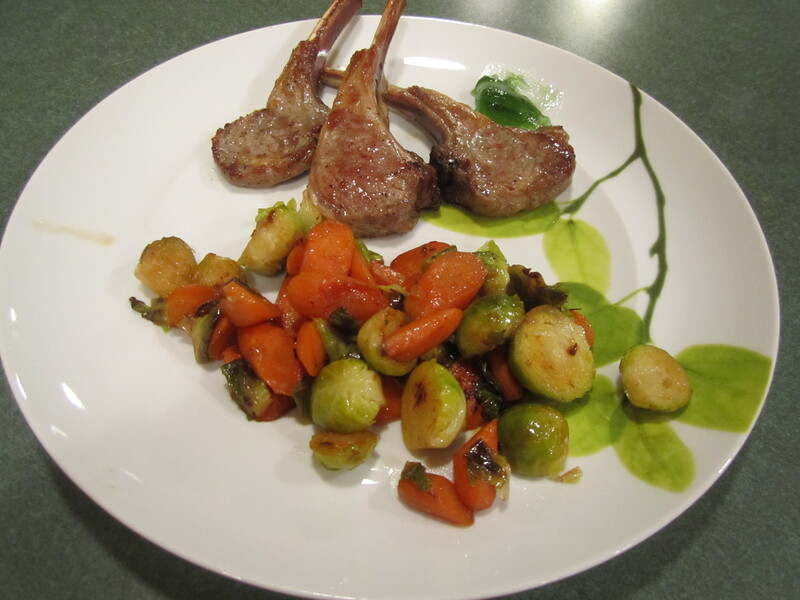 The lamb chops take very little time but they can be prepped while you make the brussels sprouts and carrots. Leaving meat out for a 1/2 hour or so is always better for grilling. 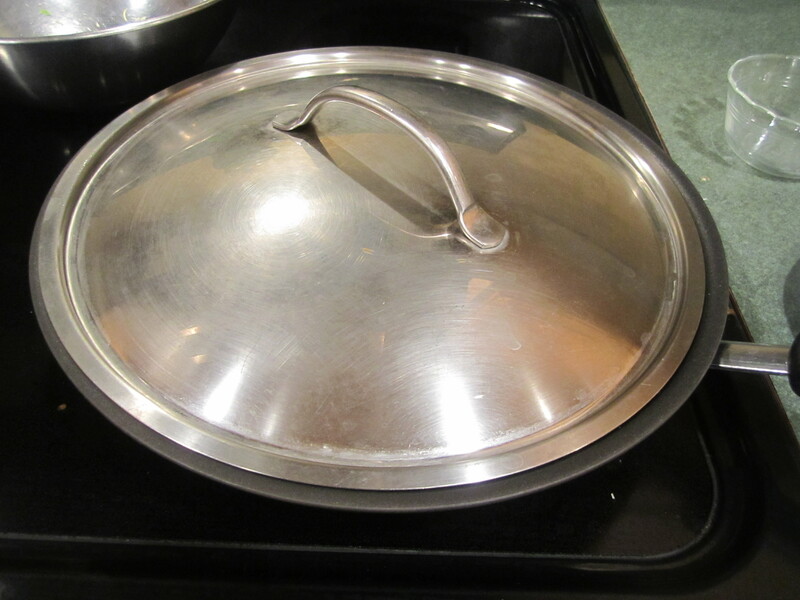 Spray aluminum pan with canola oil spray. Place lamb chops onto pan. Sprinkle lightly with salt and pepper. Turn over and sprinkle the other side with salt and pepper. Start grill. When the vegetables are done, bring the lamb chops on the pan out side and place on the grill. Bring the lid down. Adjust the heat to 1 notch below high. Cook on one side for 2 minutes. Open grill and turn lamb chops over and cook for another 1-1/2 minutes. Open lid and turn lamb chops over and then remove onto a plate. 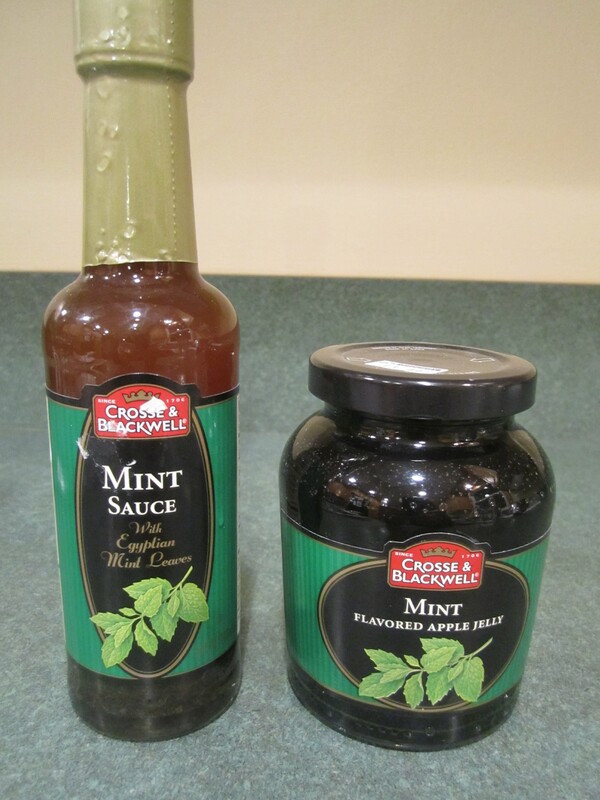 Serve with Mint Jelly and Mint Sauce if desired. The following is for half the recipe. I follow the recipe almost exact with some very slight changes. Cook chopped shallots in 1 tablespoon of butter in a 12 inch non-stick anodized pan or heavy skillet, over medium-high heat, for about 1-2 minutes, stirring until soft and somewhat browned. 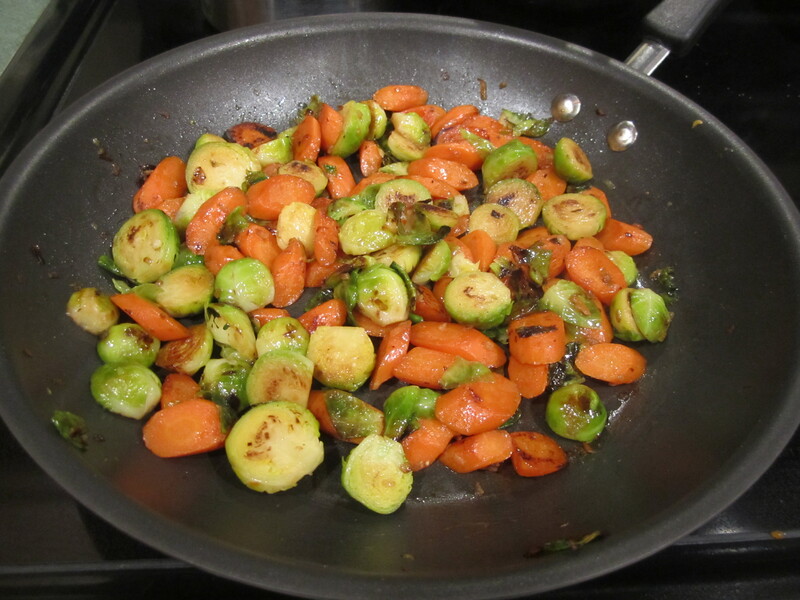 Add carrots and brussels sprouts, 1/4 teaspoon of salt and cook, stirring occasionally, until vegetables begin to brown, about 4-6 minutes. 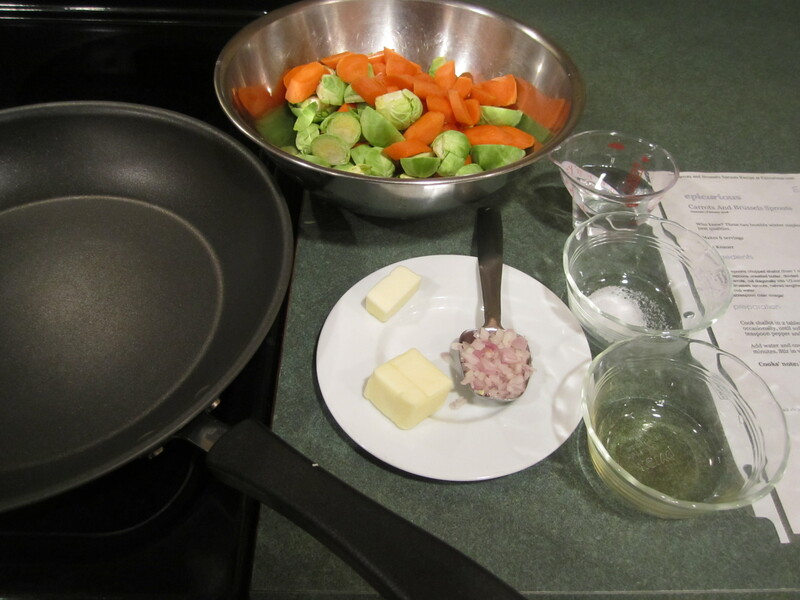 Add water, cover skillet and cook over medium heat until vegetables are tender, about 5-8 minutes. 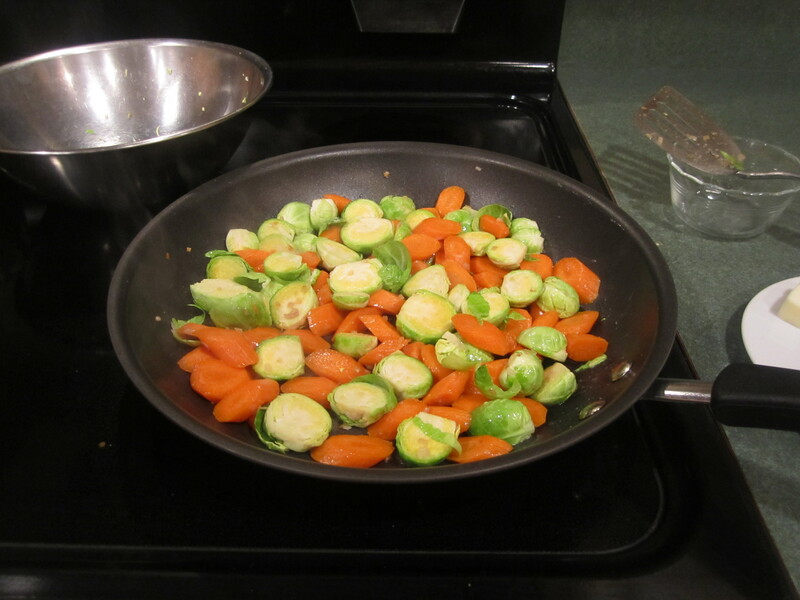 Stir occasionally and add little dribbles of water to the pan if the vegetables seem too dry or are browning too much. 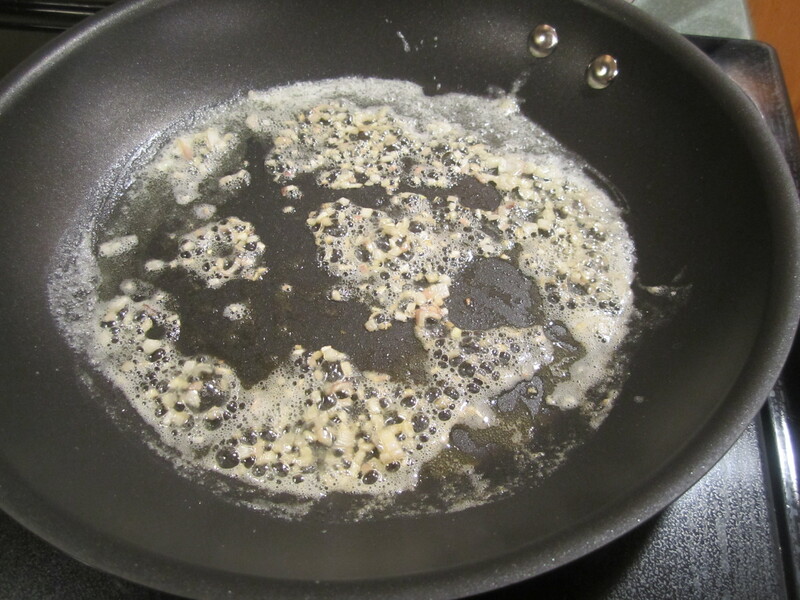 Add vinegar and remaining 1/2 tablespoon of butter to vegetables, stirring thoroughly. Add salt to taste, if needed. Set aside and cover. Cook the lamb chops.